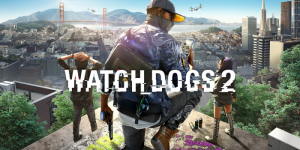 Recently an update for Watch Dogs 2 hit. It is around 14GB for PC and it includes things such as new outfits emotes and dances, some new areas and the major change. A little bit more after the ending. The new ending scene takes the form of a recorded phone conversation and comes right after Watch Dogs 2’s final hacker broadcast which summarizes the game’s ending. Person A: How much of this is hyperbole? Has it really gone global? Person B: There are new DedSec cells popping up everywhere. The Middle East, South America, Europe. And not just them. We can’t even keep up with all the new hacktivist groups. Person A: Alright. Make the call. Also the name the recording itself is a series of numbers, that fans found out are google maps coordinates, that lead to Brixton, London. Fans are speculating that this might be the setting for Watch Dogs 3, since all information on future DLC’s show that they will be taking place only in San Francisco.